This plugin allows you to change your windowskins using simple script calls. 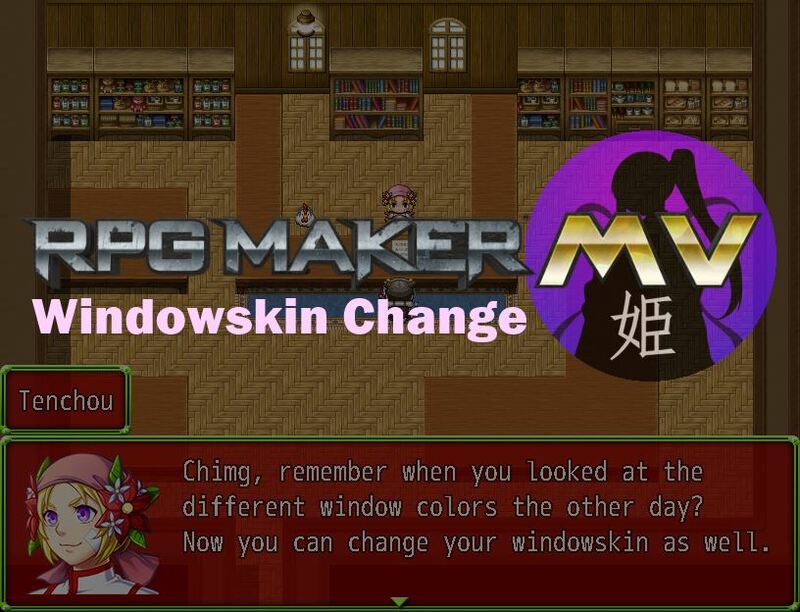 By default, the game only supports one windowskin, but with this plugin you can use multiple windowskins and change them during the game as needed. Custom windowskins can be used to allow players to customize how they want their game to look. Alternatively, you may choose to use it as a way to show additional information to the player. Perhaps you have a moral system, and depending on your status, the windowskin may appear differently. Download ths plugin and place it in the “plugins” folder in your project’s “js” folder. Then open your Plugin Manager (F10), double-click an empty row, and select the HIME_WindowskinChange plugin. All window skins must be placed in the same folder. By default, they are stored in img/system, but you may have plugins that change this. Where the NAME is the name of the windowskin image. And you should see the changes immediately. Windowskins should be preloaded before you use them. This is because the image may not be ready when it is required. Where NAME is the name of the windowskin to load. You can simply have an auto-run event at the beginning of the game download all of the windowskins you may need. okay, i see the into js. how i let you know? introduce my game? i wonder it’s okay i use this plugin to commercial game?